Fish is a necessary component of the human diet. Proteins, vitamins and minerals, and calories is relatively small. The main thing when choosing fish – not to be mistaken with the level of freshness. After all, as the hero of Bulgakov, the freshness happens only one - the first and the last. To check the quality of the fish in several ways. Inspect the appearance of the fish. If it is a natural color, elastic, shiny and moist with scales, and her skin is damaged, can safely take. The fish, which was repeatedly frozen and thawed, looks dull, has a stained cover. The nutritional value of this product is much lower. The old fish tail is curled. But if the surface of the fish is sticky, chalky, and scales are dry and brittle, then you have unsold product. Smell the fish. If it's fresh, the smell will be light, and slightly stronger if you lift the Gill bar. But rich fishy smell suggests that it has long waits for customers. Look at fish eye. If they are muddy, dry, sunken, in front of you a broken product. 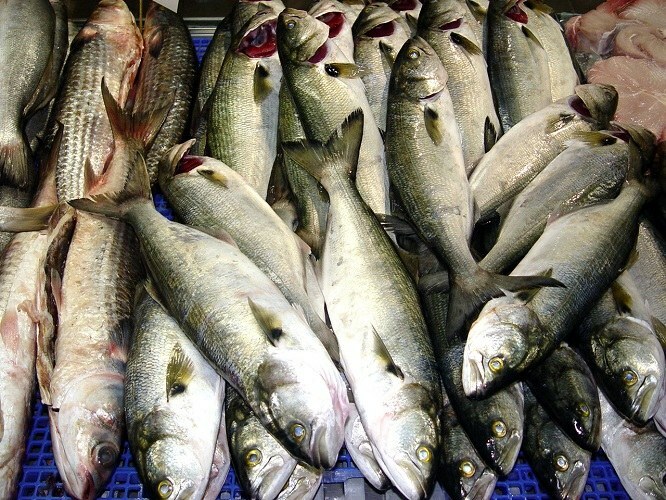 From fresh fish, eyes bright, prominent and clear. Note the gills and lift them. Have fresh fish, they are bright red, bright pink or grayish-red (frozen) colors. The gills should not be black or dark red, unless it's sturgeon, Beluga, sterlet or a representative of other sturgeon species. They have gills dark in color, with a reddish tinge. Darkening, spots, mucus on the gills do not speak in favor of fish freshness. In addition, Gill plates should not adhere to each other. Feel the fish. Her belly should be moderately soft, not swollen, and the back is firmer, but not too much, otherwise you are dealing with the old fish. Belly fresh fish does not remain dents from your fingers (unless, of course, don't make any extra effort). Take the fish head and tail and bend. The carcass will gently bend, not break if fresh. To determine the freshness of the fish, dropping it in the water. Poor quality will emerge, and a fresh sink.